Click on item name to toggle item description(s). This utility makes a complete clone of the xGEL Labmate Program folder structure and files, and all its sub-folders structures and files, and places the cloned structure in a separate folder named LabMate Folder Clone_YYYY_MM_DD_HHMMSS. It tags each Folder Clone with the data and time of the clone operation. This utility is useful for maintenance and troubleshooting and acts to make an xGEL Restore Point prior to monkeys poking sticks at the xGEL files. This utility returns information about your computer system and is used for trouble shooting. This Utility may be distributed to your friends as it is helpful for general use. This utility is used to overcome limitations of the current gINT import procedure by reducing the amount of finger clicking needed to make imports . It can be used for xGEL or other source file imports. If you have to do a lot of importing, then this is the utility for you as it allows you to specify your default source and target folders and to specify your default correspondence files. Ever wanted to see what kind of "drawings" architects do in this down economy. 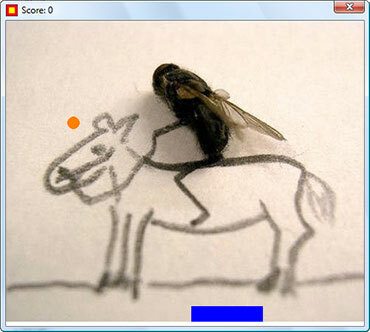 Well, get a copy of xGEL Fly Pong and see. BTW- If you want to customize this game with your company name and tag line so that you can send it around to your clients, then contact our Custom Solutions Department. *xGEL LabMate is only available to registered users.